Australia’s prune industry has been given a funding boost, receiving a cut of the Federal Government’s $5 million leadership in Agricultural Industries Fund. 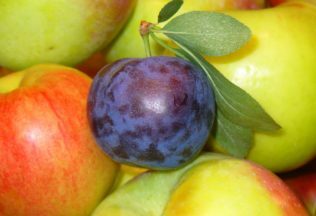 The Australian Prune Industry Association (APIA) has been awarded AUD $159, 000 from the fund, all of which will be invested into people and culture. APIA Chairman, Grant Delves, said industry leaders recently met with Horticulture Innovation to form a new strategic plan for the Australian prune industry. From the meeting, three key areas were identified as areas that could help reinvigorate the industry. “With limited resources, APIA chose to focus on the first two areas – R&D and promotions,” Delves said. Mr Delves said it was key industry leaders receive training. APIA also hopes to use the funding to invest in young growers after one of the industry’s youngest growers, Ann Furner, successfully attended the International Prune Association Congress in South Africa in 2010. Furner is now a strong advocate for visiting prune farms across the world for educational purposes. “My husband, Anthony and I have 18 hectares of prunes and we are currently investing in new technology that I heard about while attending the 2015 IPA Congress in Italy,” Furner said. “I believe investing in young growers gives them the confidence to participate actively in their industry.